The month of February is “Love Month” and Jordan Brand will jump into the bandwagon by releasing a Valentine’s Day-inspired kick next month. 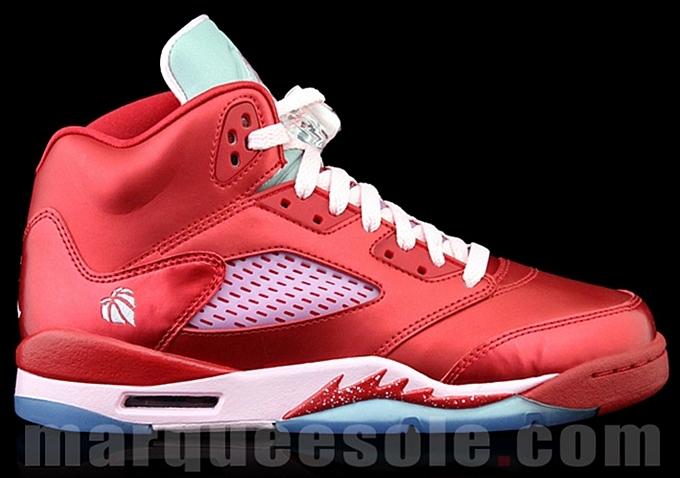 JB will release an Air Jordan 5 Retro GS in Varsity Red/Vivid Pink colorway on February 9 for $115. The eye-popping kick features a “For the Love of the Game” heart logo that is visible on the heel, enhancing the plain-looking vivid pink upper part of the kick. This will be released on a limited-basis so make sure to grab your own pair immediately!